The World Standard in Airborne Magnetics The CS-3 offers the highest sensitivity and lowest noise on the market, with automatic hemisphere switching and a wide voltage range. In addition to having the maximum active zone and minimum dead zones, it also maintains the smallest heading errors. 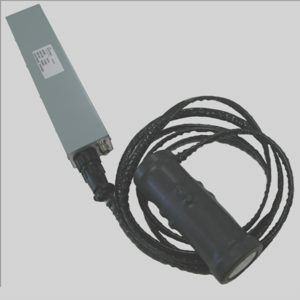 CS-3 sensor offers unsurpassed performance as an industry standard. It is the choice of airborne magnetometer system operators. 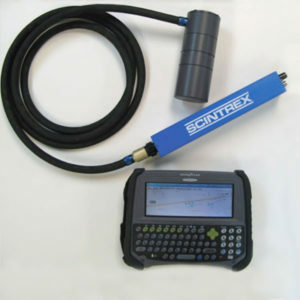 The CS-3 will provide indisputably the best in your magnetic data quality. 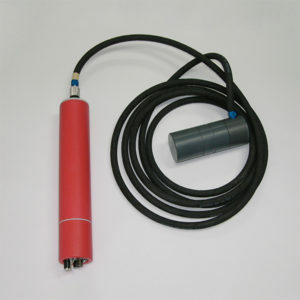 The CS-L is a high resolution continuous reading cesium magnetometer designed for aircraft or multi-towed arrays. The total weight, with the 3 m cable, is 1.8 kg (3.96 lbs). Uses the same technology as the CS-3 with upgraded electronics for which makes it light weight. 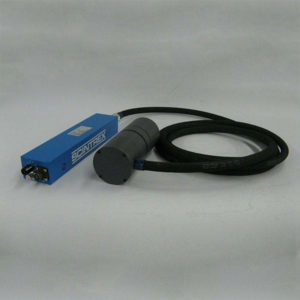 The CS-VL is a high resolution continuous reading cesium magnetometer designed for UAV aircraft or multi towed arrays. The total weight, with the 3 m cable, is 890 g (1.96 lbs). Uses the same technology as the CS-3 with upgraded electronics for which makes it very light weight.